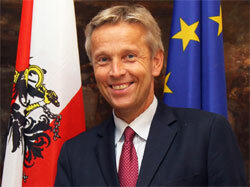 Members of the Austrian government fear that Austria may lose its discount. The annual loss would come at more than € 180m. At the moment, Austria´s net contributions come at 0.2% of GDP. From 2014 to 2020, the figure may increase to 0.36% of GDP. Translated into concrete figures, Austria´s annual net contribution would increase from € 800m to € 1.2bn. This article includes a total of 269 words.